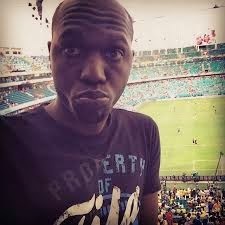 Why has Mututho Refused to Pay Larry Madowo his 60k? Last week, Larry Madowo was hosted by Jeff Koinange on KTN's Jeff Koinange Live where he shared his life story. Among the many experiences he told to Jeff, one thing stood out to me and am sure everyone else is also asking themselves how it happened. As it turns out, Larry used to work for NACADA chairman John Mututho a few years back. Larry worked at a small radio station called Bahasha FM, which was owned by Mututho and he was fired without pay. From what I can get from the interview, it sounds as if "The trend" host was being paid a monthly salary of 60,000. He explained how he received a letter of termination one day after work and that was it. Years later, even after Madowo had joined NTV, he hosted Mututho a few times on the station but the NACADA chairman has never even bothered to talk to him and probably pay him after that - just wondering . Of cause Larry doesn't care about 60k, why would you if you are making millions and having your dream job. It just sounds so unethical especially someone who is a leader in the government to refuse to pay people what he owes them. According to Larry, he wasn't the only one who was not paid, his colleagues were also shown the door and never saw a dime.